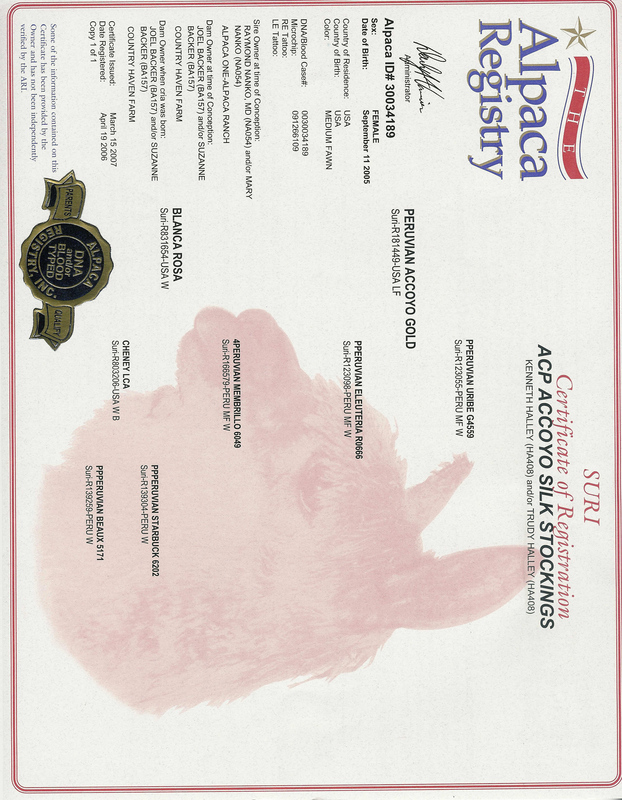 Full Peruvian - PERUVIAN ACCOYO GOLD is one of the darkest Accoyo proven suri herdsires in the country! He is out of the famed fawn Durazno(Uribe)who recently passed away. Durazno has produced many award winning offspring! 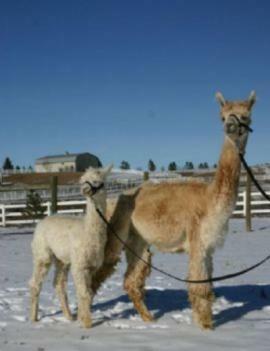 Including Pacific Crest Accoyo America's (Greg Mecklem)Accoyo Apache who has been an incredible producer for Greg, NGG Caesar (Northwest Alpacas), Teton (Latah Creek Alpacs), NGG Cortez, Viceroy (full Accoyo Fawn) Gold is as well an awesome son of Uribe. 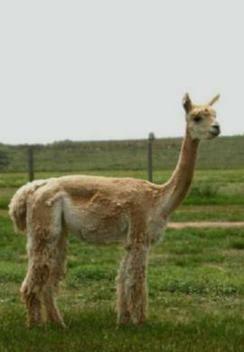 The dam of Gold is also a fawn Accoyo import. Gold is the rare of rare - a full Accoyo fawn produced by 2 fawns! He has excellent conformation, exhibiting thick bone density. He has tight lock structure right to the skin, even today! His luster is glisting and he has thick coverage down his legs and has incredible density! Peruvian - Rosa is a very sweet full Accoyo female. Her Sire is Membrillo who is a fawn Accoyo male and was selected by Don Julio Barreda for the 1996 Peruvian importation. Because Accoyo Silk Stockings was so important to Trudy's breeding program, she decided not to take her off the farm to show her in halter classes. So she sheared her and entered her fleece in a number of fleece shows. 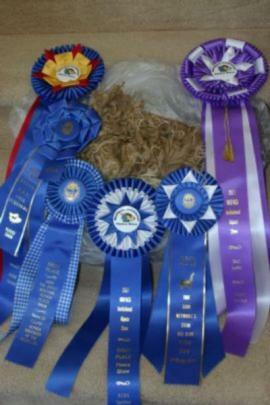 Stockings has consistently won only first places in every fleece show she was entered in. 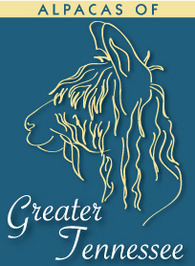 1ST PLACE fleece at the 2006 Suri Network Symposium, largest Suri fleece show in the world!